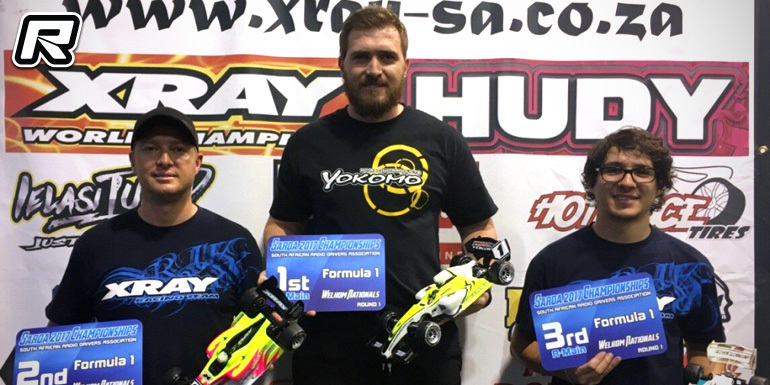 The first round of the 2017 South-African ORE national championship was held at the Welkom RC Arena, host of the 2018 IFMAR ISTC 1/12th World Championships. 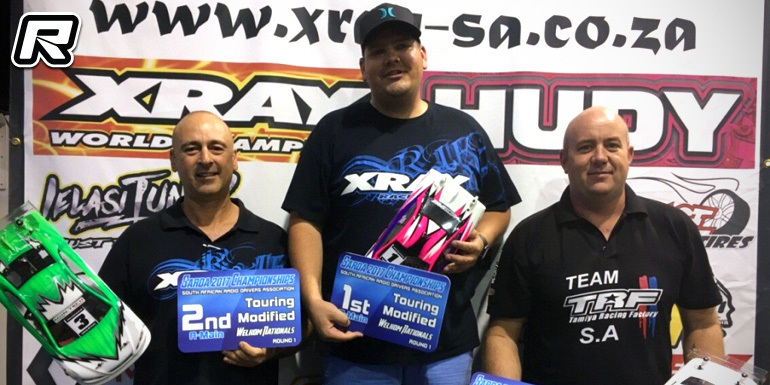 It is fair to say that the facility has revived RC racing in South Africa and for the first time in many years there were five Touring Modified mains, a full 1/12th Modified main as well as a full main of 1/12th Stock. In Touring Modified and for the first time in many years over 46 entries ensured competitive racing and the drivers had to be at their best to qualify for the A-mains. The battle for the podium was really hot with great runs from Hein Kotze, Anderton Smith, Antonio Caroli and Ashley Hurley. After missing the first qualifying run it was Hein Kotze who put in great runs in Q2, Q3 and Q4 to secure the TQ spot. Youngster Ashley Hurley improved Alexander Hagberg’s 2016 record to 12.7s and showed that he was a force to be reckoned with by qualifying in 2nd with Antonio Caroli 3rd and Anderton Smith in 4th. In A1 there were some accidents but it was Hein Kotze who took the win with Antonio 2nd and Jason Hillcoat managed a great 3rd after starting in 9th place. In A2 Hein Kotze was unfortunate to break his rear wing which allowed Antonio Caroli to take the win with Shaun Schutte second and André Greeff a good 3rd. 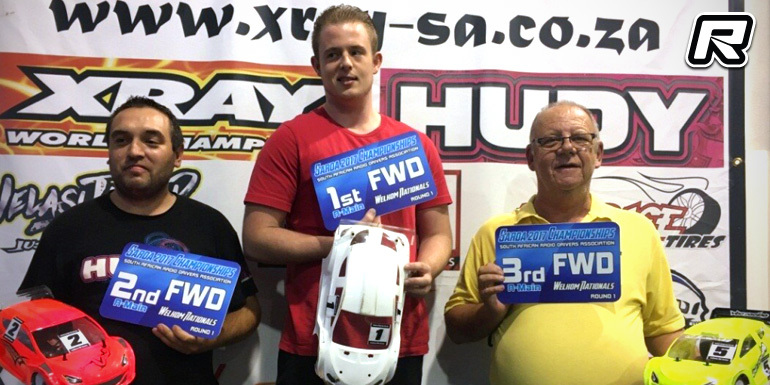 In A3 Hein Kotze drove a perfect race to victory with Ashley Hurley second and again Jason Hillcoat achieved a fine third place. The Pro-Stock 13.5T Touring class was very competitive with fast laps recorded by these drivers. Some of last year’s drivers moved to the Modified class and it was a battle between Jean Wessels, Pieter de Villiers, Francois de Jongh and Jonathan Wilken for the TQ spot. Jonathan won the first three qualifying rounds and secured a great TQ. Jonathan Wilken also managed to win both A1 and A2 to settle the win. It was a great battle between Pieter de Villiers and Jean Wessels for the final podium positions. 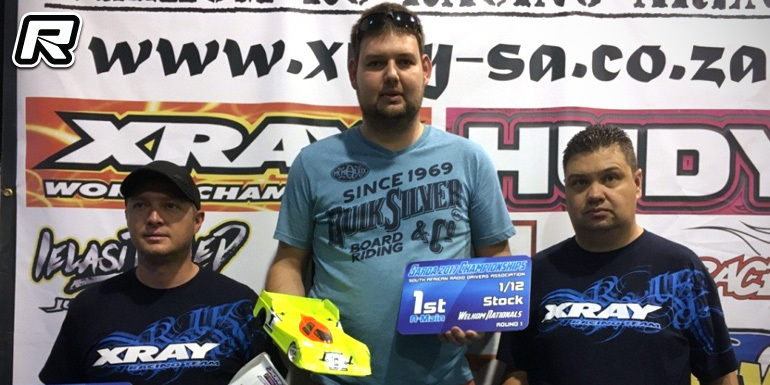 The FWD class was dominated by the Eugene Wessels and Francois de Jongh throughout the weekend with Eugene eventually securing TQ and the win. In Formula 21.5T it was the usual fast drivers Jonathan Wilken, Pedro de Gouveia and Tyronne Wilken who showed great pace from the start. 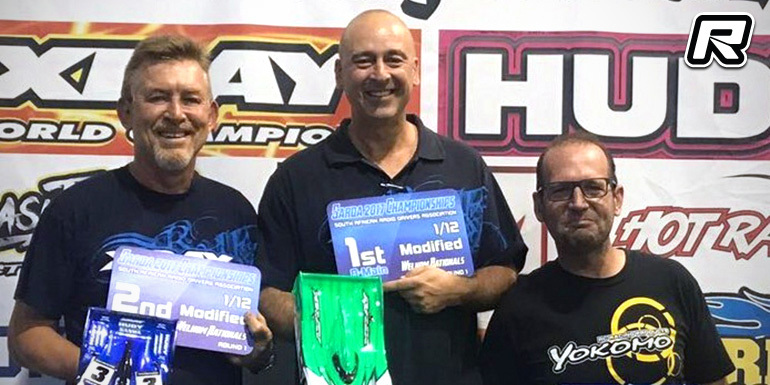 Tyronne Wilken made a great debut with his new Yokomo to secure TQ and winning both A1 and A2 to secure the overall win. It was left to Xray team mates Pedro de Gouveia, Willie Pienaar and Jonathan Wilken to fight for 2nd and 3rd. With the 1/12th Modified class an event at the 2018 Worlds, the entries are growing and a full A-main was on the cards. Local driver Antonio Caroli showed awesome pace during practise with regular sub-12s laps already bettering Alexander Hagberg’s 13.7sec pace of 2016. He had some bad luck during qualifying and it was Ashley Hurley who took TQ with consistent runs with André Greeff starting from third. Ashley had some bad luck during the finals but Antonio Caroli was super-fast and improved the lap record to 11.347s consolidating A1 and A3. It was up to Xray team mates Ashley Hurley and André Greeff as well as the 2015 champion Wayne Joelson to battle for the remaining podium positions. The newly proposed 1/12th 13.5T stock class as an event at the 2018 Worlds draw some new drivers to this class which ensured a full A-main. 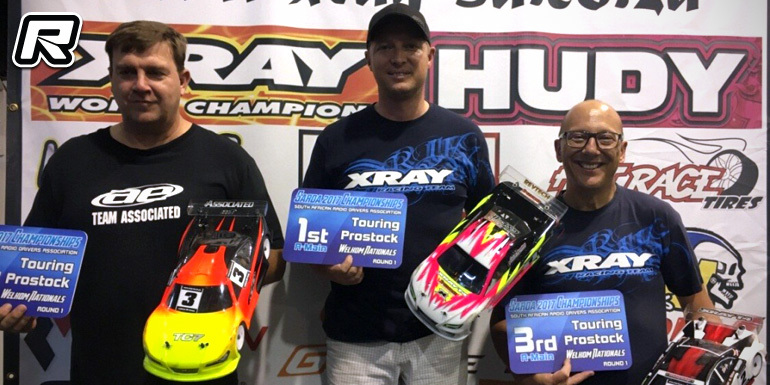 It were Xray team mates Francois Laubscher, Gerry Esterhuizen and Jonathan Wilken who battled it out for TQ with Francois eventually managing a consistent pace to secure TQ. Francois won A1, Jonathan A2 and with Francois again winning A3 which gave him the overall win. Jonathan managed to finish second overall with Gerry Esterhuizen taking the remaining podium position.